Background image from Pixabay and used here with Creative Commons license. Cutting the cord to cable has gone from a fringe action to a way of life for millions of Americans that have given up on expensive cable and satellite TV packages and built their own on-demand TV experience with streaming TV. Not to mention the “cord nevers,” millennials who never bothered getting traditional pay TV packages in the first place. And as those numbers have grown, so have a proliferation of set-top boxes, streaming “sticks” and services from Sling TV to Amazon Instant Video, with stand-along services coming soon from HBO, CBS and Apple. This is another moment in the rise of streaming, over-the-top TV services that will reshape the power of television delivery for the next decade. Could it be that the a la carte TV experience is finally coming, where we can pick and choose the sports, shows and movies we want when we want them at a reasonable price? Not quite yet, but we’re getting closer. 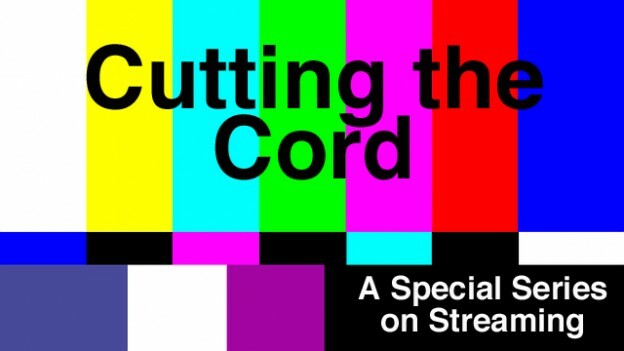 So we thought the time was ripe for another deeper look at cord-cutting and streaming TV to help you if you haven’t cut the cord yet, or give you insight into where we are — and where we’re going into the future of television. Great and we did cut the cable TV cord a while back but ironically, I’m wondering what is taking so long for PBS to offer their own streaming service via subscription, directly? Revenue stream. PBS has a great app, as does the Smithsonian. I cut the cord in June when I realized I was already streaming 90% of my content. I have no intention of returning to cable ever. All that money simply to have access to shows constantly interrupted by commercials. It’s a singularly bad deal.